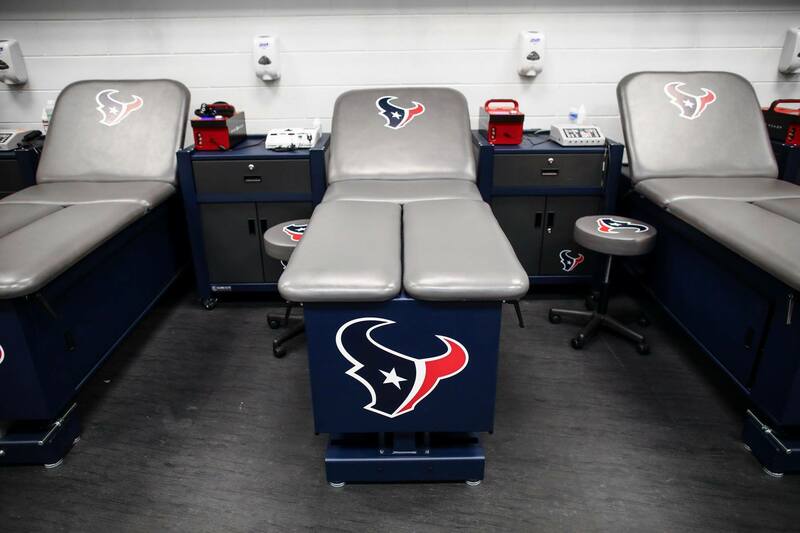 Our exceptional customer service and attention to detail are one of the reasons, so many professional sports teams select The Athletic Edge for their custom athletic training room equipment. 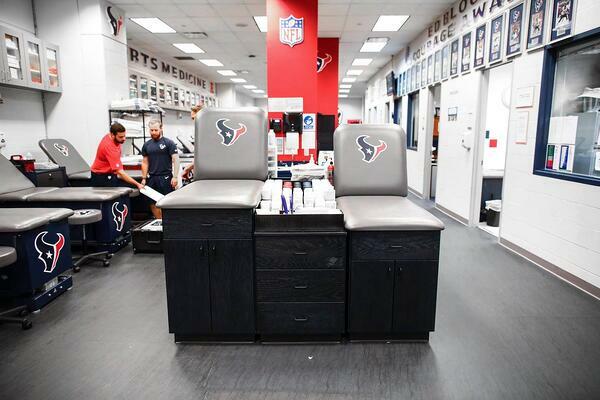 View the Houston Texans Case Study here. 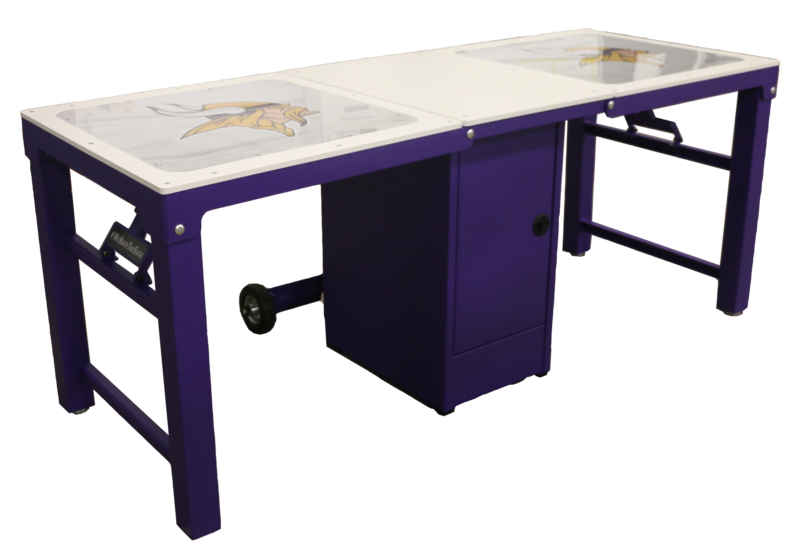 "We are really impressed with the functionality and versatility of the custom laminate taping station and custom stained treatment tables from The Athletic Edge. 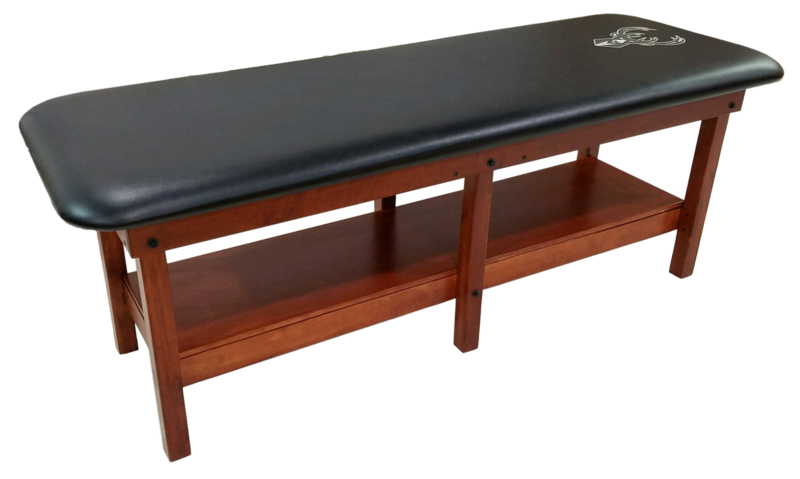 Our players are getting the treatment they deserve with top quality products built for our Twin Cities Orthopedics Performance Center. 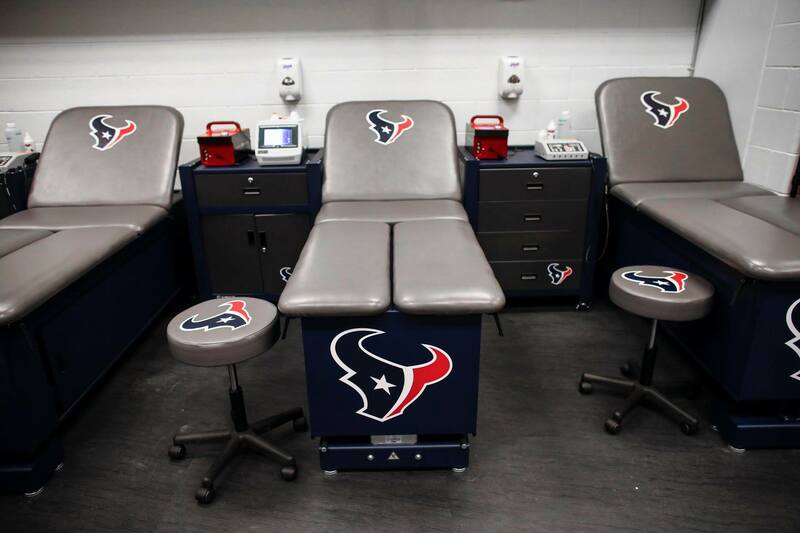 We especially love using the electric Thera-P tables because of the comfort and convenience they provide our players and athletic trainers. 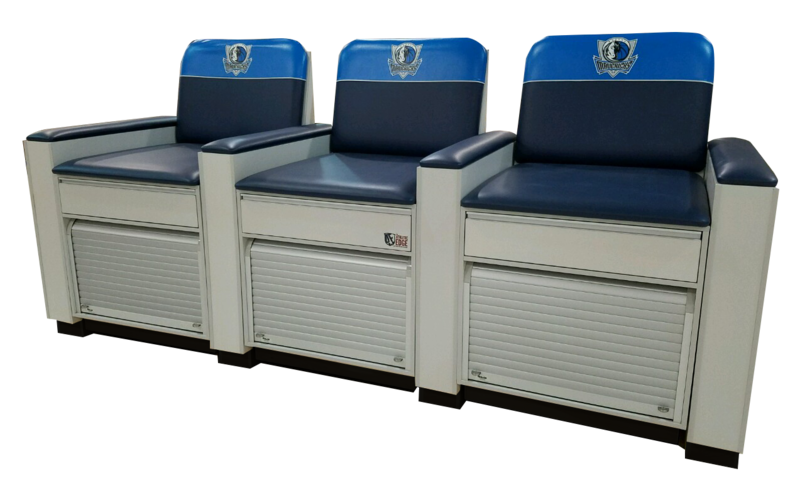 These products really add to the modern look of our new facility with their sleek designs and our custom deboss Vikings logo on the cushions. 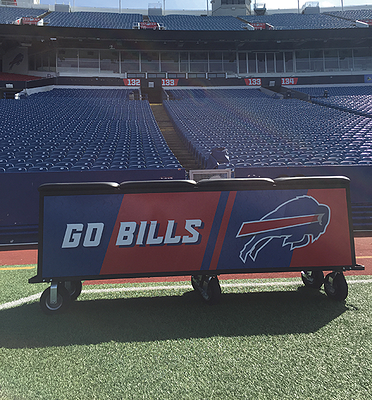 We are very happy with our decision to partner with The Athletic Edge on this project." 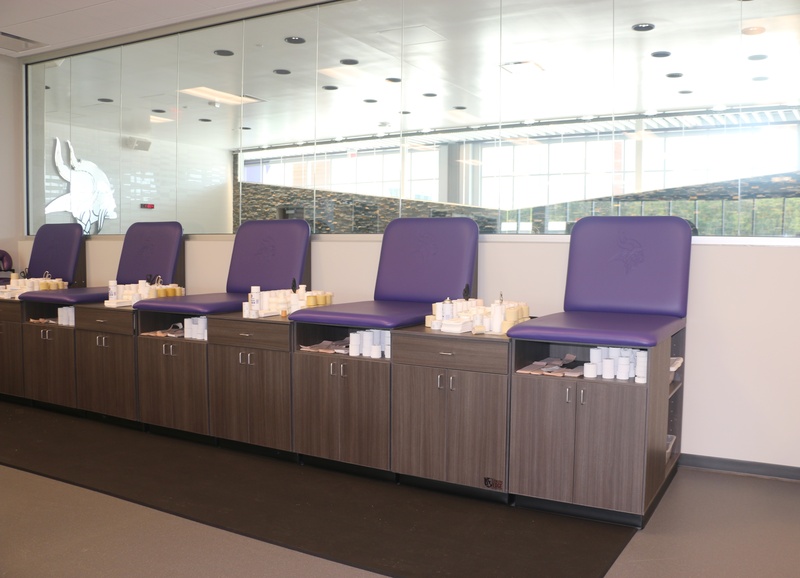 Let The Athletic Edge help make your facility and athletic training dream a reality through high-quality, successfully branded and beautifully functional equipment and facilities.